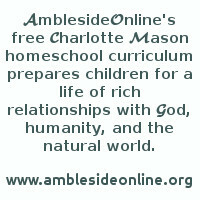 As a help for scheduling Year Seven of AmblesideOnline's curriculum, we are pleased to offer printable charts, the weekly assignments in list form below, or families may choose to use a modification of either for their own personal use. However, please see Our Fair Use Policy before sharing any part of the curriculum. Churchill's Birth of Britain, ch 4 The Lost Island to the top of page 45, to "occupation grew from year to year." Churchill's Birth of Britain from ch 4 The Lost Island "Of all the tribes of the Germanic race" to ch 5 England "as he walked anywhere in the streets in the Roman fashion." How to Be Your Own Selfish Pig: 8. You don't think anyone's going to hell, do you? Asser's account of King Alfred: Introduction, and up to "and he was buried at Sherborne." History of English Literature: ch 9 "The Passing of Arthur"
Life of Alfred by Asser from "In the same year, also, Carloman, king of the Western Franks" (Pt 2) to "carried to Rome the alms of king Alfred and of the Saxons." History of English Literature: ch 19 "Piers the Ploughman"
History of English Literature: ch 23 Chaucer - "The Canterbury Tales"
Twain's Joan of Arc Book II ch 23 Inspires the Tawdry King, 24 Tinsel Trappings, 25 At Last--Forward!